As Tesco has grown, so its emotional connection to the customer has become trickier. Now, it must find its way back, writes Russ Lidstone, chief executive of Havas Worldwide London. Late afternoon on a dark, wintry day in November 2002. Tim Mason’s office in Tesco’s Cheshunt HQ with my agency colleagues and senior marketers from Tesco, during a discussion regarding Tesco’s communications strategy, in light of growing market share, and following an agency ‘learning’ for not obsessing enough about the customer. Tim says: "The customer always has a choice. It doesn't matter to them if we’re big. It all depends on whether the last visit was good or bad... So watch what we do, and not what we say." This pathological focus on customer and delivery, was, of course, amplified in creative- and effectiveness-award-winning advertising, including the infamous classic featuring a Tesco fishmonger responding to Dotty (Prunella Scales) as she returned a sullen trout, with the line: "Have this cheerful sole instead, Madam." Tesco, the most formidable force in British retailing, combined market-leading action with world-class amplification and a strong sense of purpose embodied in the brand slogan ‘Every Little Helps’. It balanced immense insight and rigour with intuition. 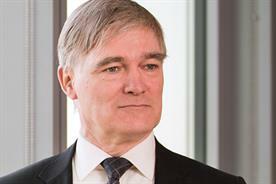 It used communications as a magnifier for action, not as marketing ‘puffery’. It utilised Clubcard data to help and reward customers. Operations, service, brand and communications all delivered emotional proximity to ‘the customer’. But for me, it’s most powerful asset was always its strong sense of brand humility – a confident assessment of its worth in people’s lives without any Kool-Aid. 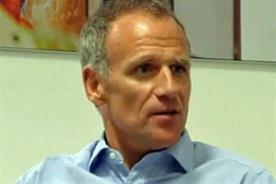 Ten years and circa plus-5% share points on, times have undoubtedly changed for Tesco and incoming boss Dave Lewis. The tectonic plates of retail have shifted irrefutably. A period of austerity has seen The ‘Primarni consumer’ only too happy to use Aldi or Lidl as a main shop. Morrisons is stoking a potential price war. Consumers have been trained to price-check. Walmart remains strong with its Price Lock-plus-quality strategy. And, at the other end of the price spectrum, Waitrose owns the ‘premium-quality’ ground. Meanwhile Tesco has grown to a size that made operations and its focus on ‘the customer’ and quality, service and value trickier. It is perceived by some commentators to have an image and an advertising problem. But ‘retail’ perception is firmly grounded in delivery - over and above communications. It is still very much a phenomenal business that touches 2m customers like me every week. But in phenomenal growth and subsequent operational challenges it’s lost some of its emotional proximity and perhaps temporarily mislaid its sense of pride and purpose. And while much has reportedly gone wrong operationally, there is a great opportunity for Tesco to re-invigorate its internal focus on delivery, the customer and humility. In his first week into the job, Dave Lewis has already demonstrated these traits in his candid YouTube interview and his intent to get the business back focusing on key values. While I’m sure sorting some of the operational and morale challenges is easier said than done, if he continues to focus on its core trait of humility, then the delivery and ‘image’ will follow. No doubt the customer will welcome it and, moreover, the competition fear it. 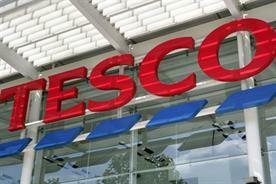 Tesco in crisis: how can Dave Lewis steer the supermarket back on course? The man with the child in his eyes: has modern marketing become infantilised?